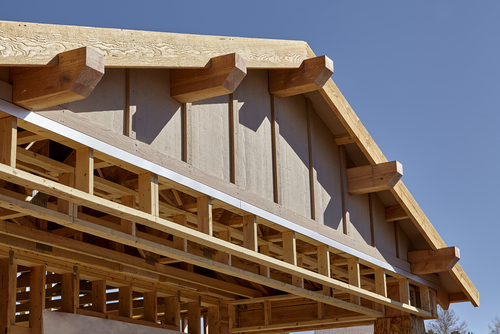 New Home Construction is on an Upswing — but where? - Champion Title & Settlements, Inc. | Title Company | Virginia | Maryland | D.C.
As anyone who’s trying to buy a home right now can attest, the market favors sellers – big-time. Low housing inventory plays a huge role in the problem, but it appears that the tide may turn soon. According to a residential sales report that was published by the U.S. Department of Housing and Urban Development and the U.S. Census Bureau, the number of construction permits issued in January 2017 increased by 8.2 percent versus January 2016. This is a good sign for anxious buyers who are looking to secure new homes in the next handful of years. Like so many aspects of the real estate market, this trend isn’t evenly distributed throughout the country. In fact, while it is on an uptick in many markets, new home construction has become especially robust in the Northeast. According to the same report, the number of construction permits that were issued in the Northeast rose by 29.6 percent between January and December and by a whopping 71.3 percent since the previous January. Confusingly, however, the region still had the lowest number of issued permits. There are good reasons for this, though, including high property prices, stricter and more numerous government regulations and a lack of available land on which to build. Why the Surge in Home Construction? These days, more buyers who are entering the market are setting their sights on brand-new homes. Thanks to the more robust economy and other positive economic factors, they are feeling more confident about investing their savings in new homes. There is, indeed, a major price difference between existing homes and new homes. According to the National Association of Realtors, the median price for an existing home stands at $233,500 while the median price for a new home is right around $301,400. Champion Title is a full-service title insurance agency working in Washington D.C., Maryland, and Virginia. We provide title insurance and closing support tostreamline closings and increase compliance for our diverse clientele. For more information on our wide range of closing and settlement solutions, please visit our homepage today!